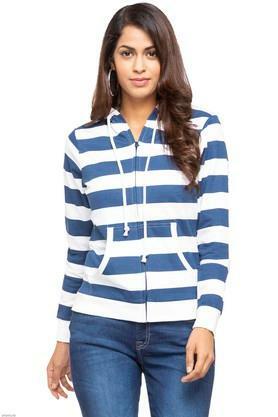 Let your style do the talking by wearing this trendy sweatshirt brought to you by Life. It has a hooded neck that enhances its look. 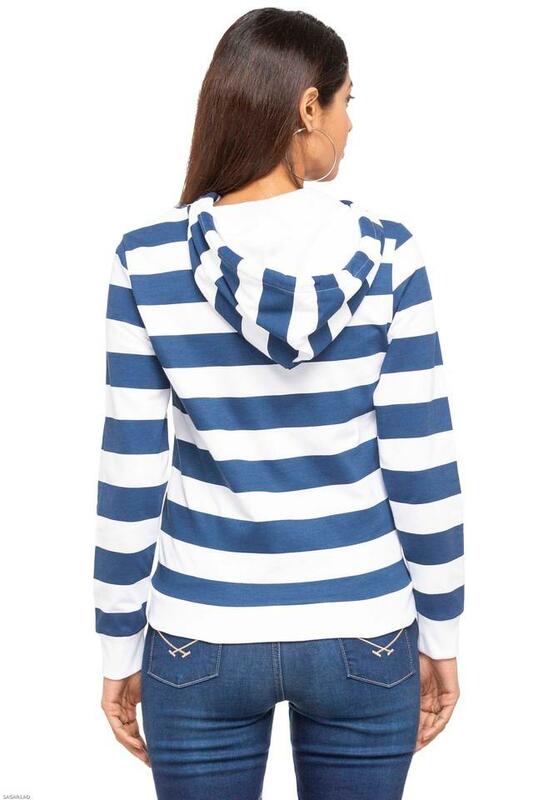 Furthermore, it features a stripe pattern, which accentuates its design. In addition, it has been tailored with a supreme quality fabric that will keep you comfortable throughout the day. Featuring a hooded neck, this sweatshirt comes with full sleeves that render it fashionable. 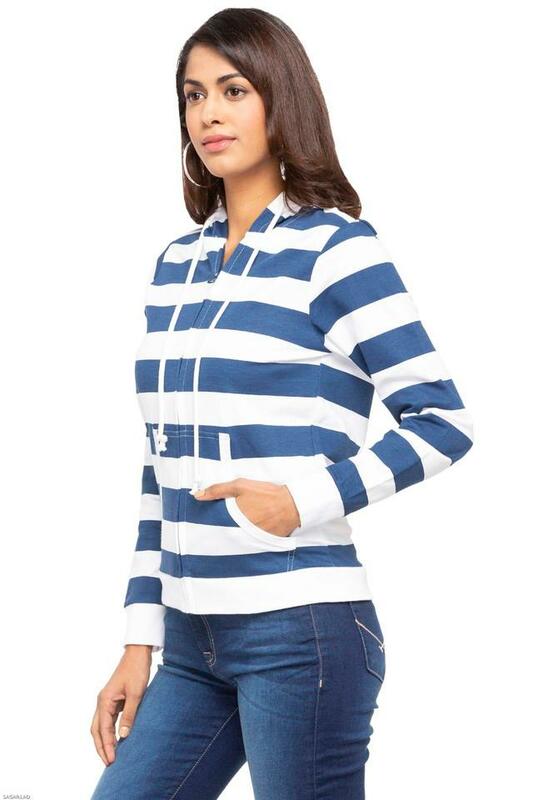 You can team it with a pair of jeans along with heeled shoes to look smart during casual outings.